Monday, March-17 Vijay drives us to the local Wal-Mart store where I buy a pre-paid, 10 cents /minute, mobile-cell phone. With 300 minutes chucked into the deal, at USD $30 (GBP £15) and no contractual ‘tie-in’ commitment, this handy device has mathematically already paid for itself. What a bargain. I also purchase some tyre puncture repair supplies, which I’ll be lucky not to need these over the next two months, and 10,000+ miles. 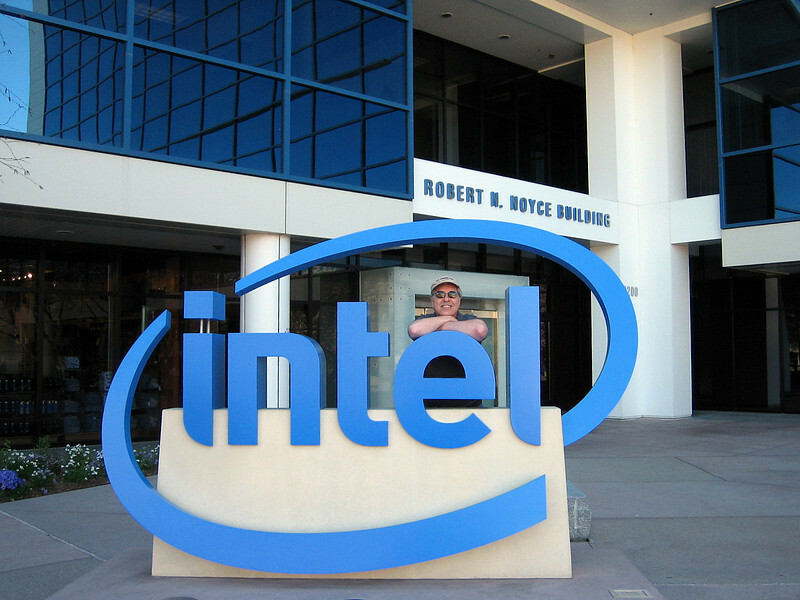 Then after a Dennys Diner early lunch (highly recommended) we take a ride around nearby Silicon Valley, which is home and the corporate headquarters of household hi-tec names such as .. Intel ..